At Chandler Law Firm, we are dedicated to helping people in Myrtle Beach, South Carolina, after a serious injury or accident. Our founder, Jeff Chandler, has twenty years of experience representing clients hurt by motor vehicle crashes, medical malpractice, pharmacy carelessness, school negligence, defective products, premises liability and workplace incidents. We also handle cases involving moped and golf cart accidents as well as other scenarios pertaining to vacation rentals. This includes wrongful death cases. Mr. Chandler is well known for his legal ability and ethical standards. He holds the highest rating possible of AV Preeminent* from Martindale-Hubbell and has been named in The National Trial Lawyers: Top 100. Since 1999, he has been a member of the Injured Workers' Advocates and South Carolina Workers' Compensation Educational Association. Our law firm is able to assist people in several ways, regardless of the scope of their personal injury claim. We gather evidence, prepare documentation and represent clients in all hearings. We evaluate the full extent of current and future damage and consult with professionals as needed. These often include expert witnesses such as medical doctors, financial advisors and vocational experts. 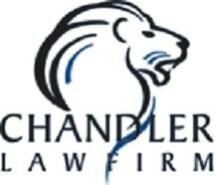 Chandler Law Firm offers a free initial consultation to all prospective clients. We take cases across the greater Myrtle Beach metropolitan area. Our office and services are available to the 15 million people who visit Myrtle Beach as a vacation destination.